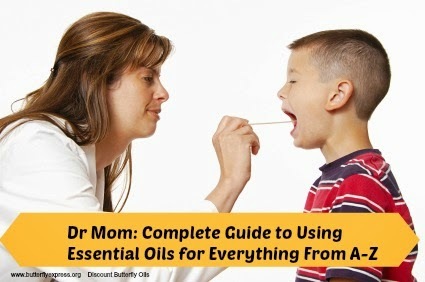 Discount Butterfly Express Essential Oils-up to 30% off: How Do Essential Oils Work? Essential oils are volatile, aromatic, non water-based phytochemicals steam or hydro distilled from various parts of plants. There may be hundreds of unique compounds found in an essential oil from a single plant, with each providing a distinct medicinal benefit and, when used appropriately, rarely any harm. They are fat soluble but do not include fatty lipids or acids, such as are found in vegetable and animal oils. Therefore, quality essential oils are not "oily" feeling but instead are generally immediately absorbed by the skin. • Drugs are toxic. Essential oils detoxify. • Drugs disrupt and confuse cellular receptor sites. Essential oils clean receptor sites. • Drugs depress the immune system. Essential oils strengthen the immune system. • Antibiotics attack bacteria indiscriminately, killing both the good and the bad. 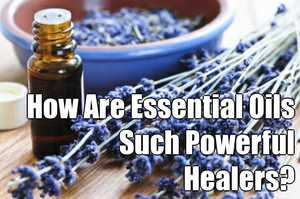 Essential oils serve as the defense mechanism of the plant, and they attract pollinators. The same aromatic molecules defend and attract for the well-being of the plant, which speaks of an "intelligence" created by our Lord. In this same sense, they are provided by the Lord to serve us by defending against the bad and protecting the good. George Washington Carver wrote: "I love to think of nature as an unlimited broadcasting station through which God speaks to us every hour if we will only tune in." Essential oils address the causes of disease at a cellular level in essence by deleting misinformation and reprogramming correct information so that cells function properly and in harmony with one another. With drugs, misinformation is fed to the cells so that some temporary relief may be obtained, but there is rarely true healing. There are times when this may be life-saving and clearly a desirable choice, but we must keep in mind that drugs typically trade one kind of disease for another. The proper application of high-quality essential oils always works toward the restoration of proper bodily function. Because essential oils resonate with the truth, they have desirable and beneficial side-effects and rarely undesirable effects.6 Drugs feed the body with lies, deceiving cells and turning off receptor sites. While no amount of truth can contradict itself, it doesn't take many lies before contradictions occur and the body suffers ill effects. Death or serious injury from proper, reasonable use of essential oils is unheard of and basically nonexistent,7 whereas death and harm from use of prescription drugs is astounding. The differences are as extreme as night and day. 2 Shirley and Len Price, Aromatherapy for Health Professionals, Third Edition 2008, page 81. 4 Schnaubelt, Kurt PhD, The Healing Intelligence of Essential Oils, page 29-30. 5 Shirley and Len Price, Aromatherapy for Health Professionals, Third Edition 2008, p.82 (Jean Valnet, MD, 1980, p.44).